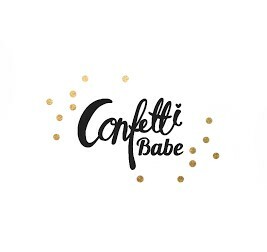 Confetti Babe: Happy Father's Day! Happy Father's Day to all you responsible men out there! I took my husband to a surprise weekend getaway to San Diego and it turned out to be really fun! See, he went to SDSU and I would visit him often so it's kind of where we had our beginnings. We would have our fave spots like Trujillo's and some bars along Mission Beach and we revisited a couple. It's so good to be spontaneous with the husbands right? I had this originally set up to go live yesterday but it got so busy, I forgot to hit "publish". Oh, mama brain! After the Bundle of Joy. A Little Hello, From Tawnya!